Complete Vitaone Multivitamin provides 31 key nutrients specially formulated to help fill nutrient gaps in just one convenient. Ensuring an adequate intake of key nutrients is important to support overall health as your body needs various vitamins and minerals every day to function properly. 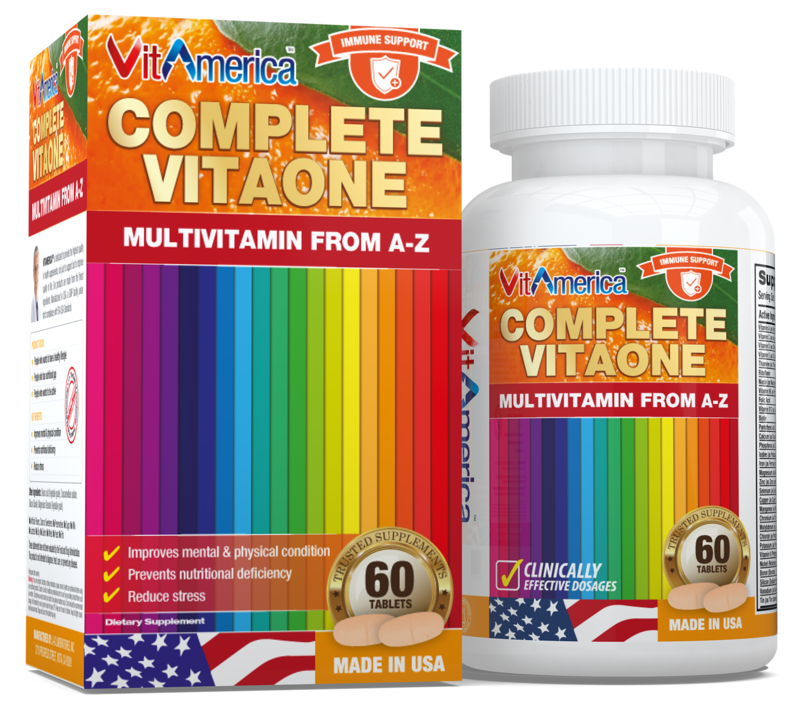 Vitamerica Complete Vitaone Multivitamin is guaranteed to meet our high quality standards – it is made from carefully selected ingredients under strict manufacturing processes. Take one (1) tablet per day with meal. Adults only. Take one (1) tablet per day with meal. A: Most Vitamerica products are gluten free. Please refer to the label of the bottle or packaging that it is contained in. If you have any additional questions, please call us and we’ll be happy to assist you. Q: How many multivitamins can you take a day? A: We would only recommend you take one serving per day unless the Suggested Use says otherwise. Please check the label of your multivitamin for specific instructions. However, as with all supplement regimens and especially during pregnancy, you should consult with your health care professional before starting any supplement routine. Q: How old do you have to be to start taking your multivitamins? If you are pregnant, lactating or taking medications, please consult a health care professional before using any nutritional products. Consult a healthcare professional prior to use if you are taking a blood thinner such as warfarin. Discontinue use and consult your doctor if any adverse reactions occur. Not intended for use by person under the age of 18. Keep out of reach of children.